One “Burlesque” star’s exposing a whole new side of herself, and another is back to the bump-and-grind of Hollywood. Popcorn Biz sashayed onto the red carpet at the Chinese Theater for the splashy, flashy premiere of the lingerie-loaded new musical starring acting newbie Christina Aguilera and eternal comeback queen Cher, where the divas dished on the challenges of bringing burlesque the big screen. 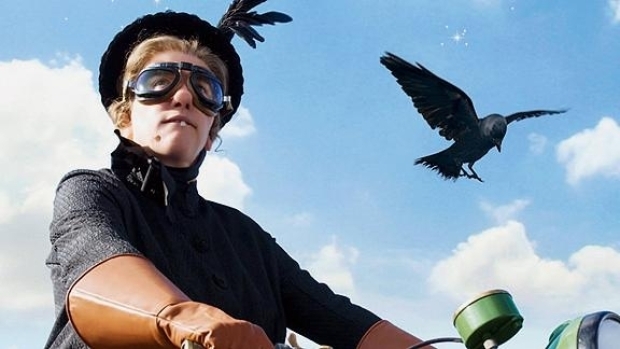 Check out nanny Ashley Cutright's take on the children's movie, "Nanny McPhee Returns." Cher -- another pop music icon who successfully transitioned to Oscar-worthy performances in films like “Silkwood” and “Moonstruck” before taking a lengthy break from the screen -- found herself surprisingly reenergized for a renewed run at acting after an 11-year hiatus.